Adecs Airinfra offers over ten years of experience in consultancy and the development and support of IT solutions for airports. Our clients consist of airports, governments and airlines. Our consultancy team is made up of highly experienced professionals and offers a wide variety of airport-related services such as safety studies, environmental impact assessments and ATC related studies. As an airport consultant, it is our ambition to support airports in seizing opportunities and solving problems. We provide solutions that serve both airports and their surroundings. Our IT solutions range from noise calculation software to airport information systems. All our innovative airport information systems are specifically developed for regional airports to meet their specific needs and challenges. Our solutions are developed in close cooperation with the industry and leverage extensive knowledge about airports and their operations. 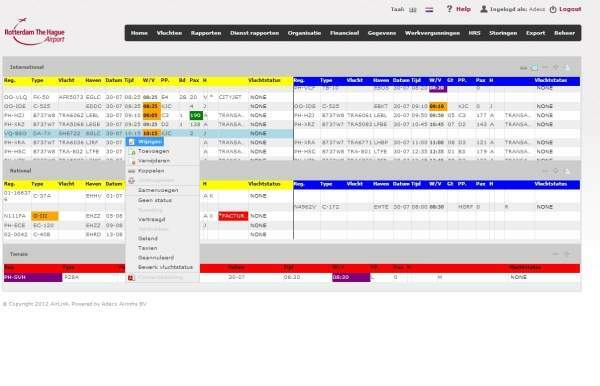 AirLink is a state-of-the-art web-based airport information management system. The system enables the sharing of accurate real-time information between all airport stakeholders. 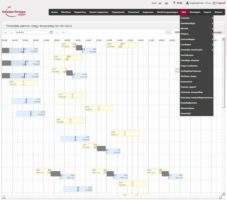 It offers a common information platform using the best practices of collaborative decision making (CDM). AirLink provides the tools to optimise operational processes to improve an airport’s overall efficiency, flexibility and punctuality. AirLink sets itself apart from other systems by being developed specifically for regional airports with up to 8 million annual passengers. AirLink is less complicated, requiring less financial investment than comparable systems, which are mostly designed for hub airports. AirLink has already attracted the attention of several European airports that are looking for the best value for money. AirMap is an interactive map that helps airport operators face one of the biggest challenges in a dynamic environment: keeping track of what and where things are happening. This is especially important during adverse weather conditions or incidents. 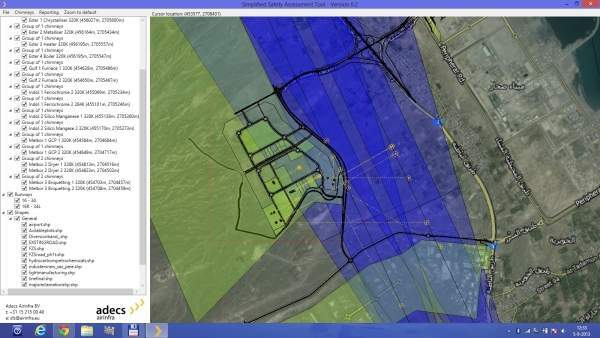 AirMap will help your staff to maintain their situational awareness by offering a common operating picture (COP). Relevant information is displayed on a map of the airport and its surroundings. The information can be easily updated by a user and is instantly shared with all other stakeholders. AirMap is designed to be used on a touchscreen but can also be used on a regular desktop PC. 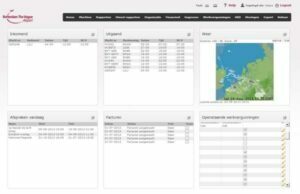 AirMap can also be linked to external systems to display available information. It will integrate everything you must keep track of, however disparate, on to a single screen. Traditional COP solutions are expensive, complex or web-only applications that leave you with nothing when the internet is lost. AirMap is an easy-to-implement and reliable solution to the COP problem at a limited cost. AirLink and AirMap are only two systems in our product portfolio. We are continuously working on new systems to improve efficiency and information sharing. Our focus is and will remain on regional airports, providing the best value for money. We expect to reveal our next innovative AirSystem at the end of 2013. Our consultancy team has an extensive track record concerning the supervision and execution of environmental impact assessments (EIA). All performed EIA have been related to the development of future changes in airport usage, each with its own particularities and challenges. Related to these EIA, Adecs Airinfra has also performed noise studies, capacity studies and studies to optimise airport usage. New flight procedure or interference from non-aviation aspects may have a considerable effect on air safety. Adecs Airinfra has considerable experience in identifying and quantifying risks. Our methods are in accordance to the ICAO and EASA methods. Recently a risk assessment was performed for an airport in Oman to determine the risks of exhaust gases from passing aircraft. The study did not only encompass a fully-fledged risk assessment but also the development of a simplified safety assessment tool, which will be used by the authorities of Oman for future assessments. This illustrates our strength when it comes to combining IT development with consultancy. Due to environmental reasons, many airports are considering the implementation of continuous descent approaches or the optimisation of take-off procedures. Adecs Airinfra has conducted several route-optimisation studies. These studies involved design aspects and environmental-effect assessments. 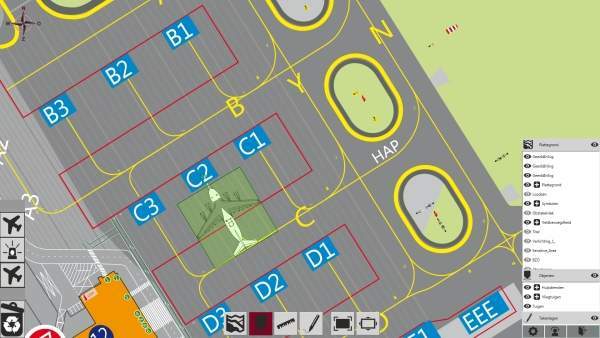 On 27 January, a pilot project started at Teuge International Airport to automate the registration of aircraft movements. 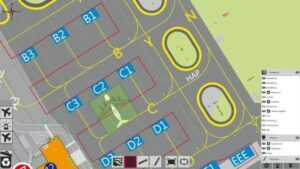 Regional airports IT solutions supplier Adecs Airinfra is pleased to announce that its AirMap system is fully operational at Rotterdam The Hague Airport, the second largest regional airport of the Netherlands.